RomichRecords Tontechnik stands for cutting-edge technology with high class service and best performance. Your wishes and your ideas are handled with priority and we assure you a high quality of music production. All this in a quiet location, without precipitance and stress. Our studio provides a good place for music-projects and productions of all kind. No matter if high end demo, songwriting or a rock-pop album. Just write us a mail, we will respond immediately. Our matter is playback- and jingle-production, besides programming of midi-files. 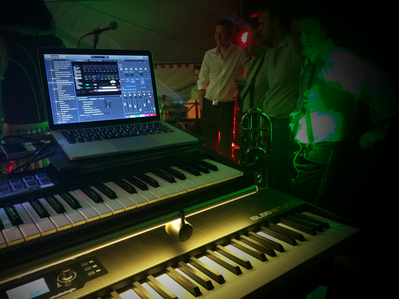 In addition, we integrate midi-technology into your instrument. Furthermore, we offer training courses in the fields of music- and recording software tools.